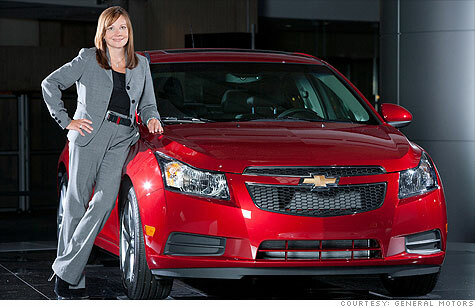 Mary Barra, GM's new head of product development, is the first woman to hold that key role at a major automaker. GM taps first woman as product development chief. Congrats to Ms. Mary Barra, who is now in the drivers seat of product development at a major automaker, which we know is an extremely male-dominated industry. After reading the article, I can now see why the auto industry has been in such trouble in the last few years. Ms. Barra is extremely qualified, having an engineering degree and working as VP of global manufacturing in the past. However, until her promotion this week, she was VP of Human Resources. What was someone with years of development, engineering and manufacturing doing working in Human Resources? This entry was posted in For Your Reference (recommended articles, sites, etc.) and tagged auto, career, GM, Mary Barra, product development, success, women. Bookmark the permalink.